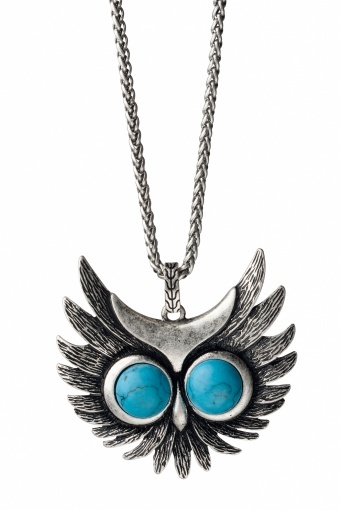 Retro Eagle Owl necklace silver. 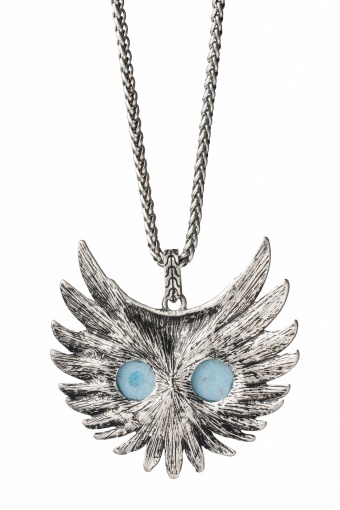 Super Duper fashionable necklace with an eagle owl pendant. 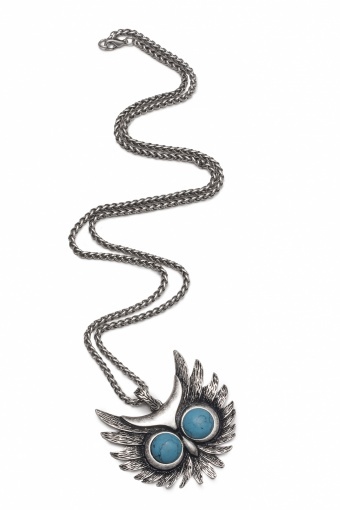 The gorgeous designed and stylized pendant is decorated with turquoise toned acrylic stones. A real must-have!